What is the clock speed of the Toadstool Mega328? How do I change the clock speed using a USBTiny programmer? How do I change the clock speed using Atmel Studio? It can be anything you want it to be (within the range of Atmel’s ATmega328P microcontroller, of course). You can choose to either use the internal oscillator or an external crystal. The ATmega328P normally ships configured to use the internal oscillator running at 8MHz, and then divided by 8 to arrive at a clock speed of 1MHz. 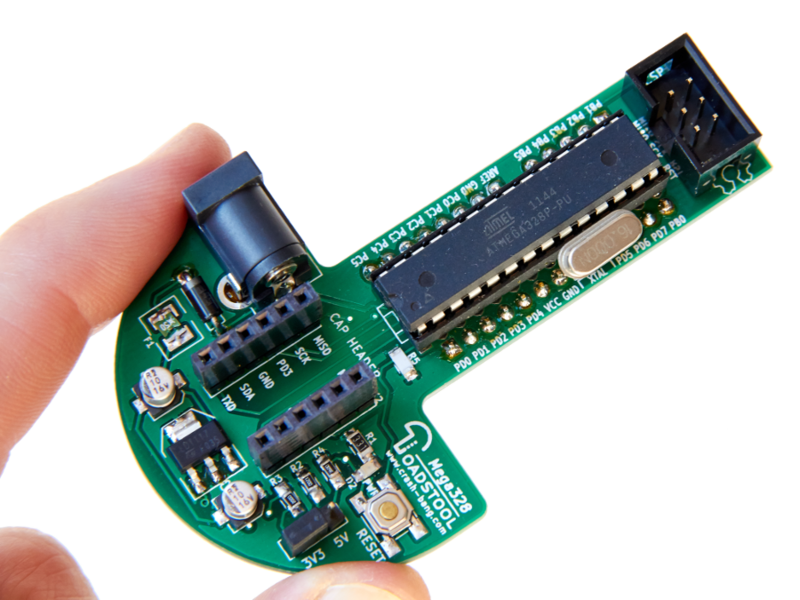 Arduino boards commonly run at 16MHz, using an external crystal. 0xFF is the value of the fuse being set. Refer to a fuse calculator such as Engbedded’s one. You would need to set the fuse bits for the ATmega328P microcontroller in the Device Programming Dialog (Tools, Device Programming). You can either use the dialog to configure individual fuse bits, or use a fuse calculator and enter the final value. I like your board Layout, but what is the mating connector number, I want to get some. Also would like a schematic too. Can I load a Bootloader to the ATmaga 328 on this board? I’m really pleased you like the boards – I went through a number of design iterations to get to a final board that I really liked! I bought the ones from 4UConnector, but they have a minimum order quantity of 1000 units. Finally, you could burn a bootloader – but I’ve left an FTDI connection off the board in favour of an ISP programming header. If you plan to work with AVR microcontrollers more in the future, I’d really recommend using a programmer instead of a bootloader (unless you are building a project that needs to have the code redeployed into the field regularly).